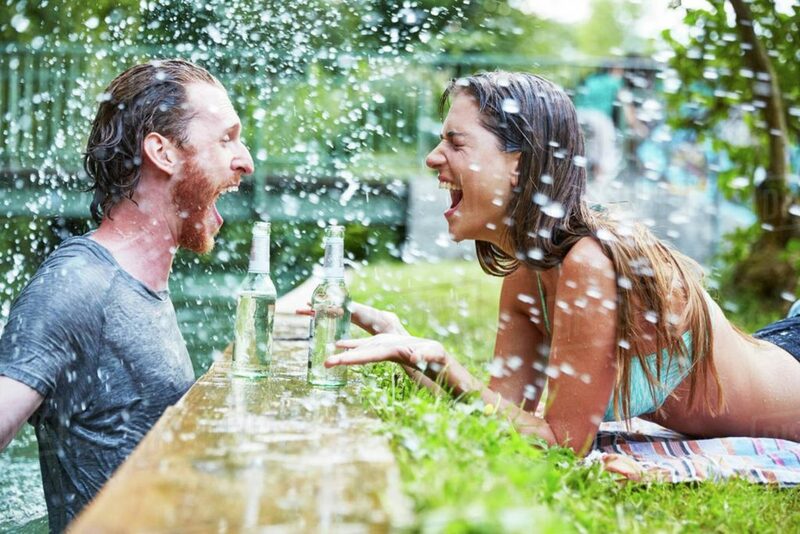 Do men and women think differently about their water utilities? In a recent post I wrote about some findings from a Texas A&M Institute for Science, Technology & Public Policy (ISTPP) public opinion survey that included questions taken directly from the American Water Works Association (AWWA) State of the Water Industry survey. The ISTPP survey’s sample of nearly 2,000 individuals was carefully crafted to be representative of the US population, and so is a goldmine of public perceptions about water. I’m blogging about interesting findings here as time allows; today I’m looking at gender. I’ve always been a bit skeptical about the idea that water is a “gendered” issue in the United States. 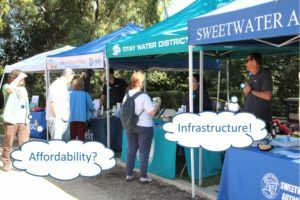 From a purely biological perspective, there’s no reason to expect that men and women think differently about water utility issues. People of all genders need water to drink, cook, and clean; sanitary sewers and stormwater systems protect everyone. There’s a huge body of academic research on gender related to water and sanitation in the developing world, which make sense—in much of the world, women and girls bear the greatest (literal) burden of securing drinking water, and are most vulnerable to poor sanitary conditions. My Texas A&M colleague Kathleen O’Reilly has worked extensively on this issue. But in most of the US, men and women experience water utilities in more or less the same way. For the most part, American girls aren’t trudging long distances on foot to fetch water, and American women don’t have to use open pit toilets in urban areas. 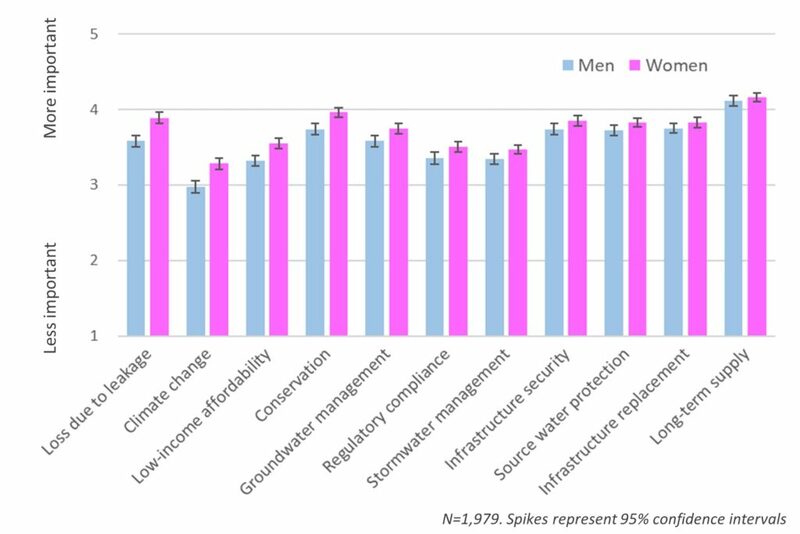 So it was surprising (to me, at least) to discover a subtle but consistent gender disparity in attitudes toward water issues in our dataset. As noted in my last post, the ISTPP survey asked eleven questions taken directly from the SOTWI. All eleven attitudinal questions are based on a five-point scale: unimportant (1), slightly important (2), important (3), very important (4), and critically important (5). Women reported greater average concern than men across all eleven categories. The greatest disparities were in concern for water loss, climate change, affordability, and conservation. The differences aren’t huge in absolute terms—about a third of a standard deviation in general—but the consistency is striking. The gender effect is in the same direction across-the-board, and the difference is statistically significant in nine of the eleven categories. The gender differences persist in regression analyses that control for partisanship, region, and age. Unfortunately, the 2015 SOTWI doesn’t include gender data, so we can’t say much about whether a similar gender gap exists within the water sector. I don’t know enough social psychology to know exactly what’s behind the gender gap in American water utility attitudes. But these results offer a potentially powerful clue for politically savvy utility leaders: building support for water systems in American communities probably starts with women. Each year the American Water Works Association (AWWA) conducts a survey of its members on the State of the Water Industry (SOTWI). The survey seeks to “identify and track significant challenges facing the water industry.” Among other things, the SOTWI survey asks respondents about their perceptions of various water issues, and so broadly gauges attitudes within the water sector. 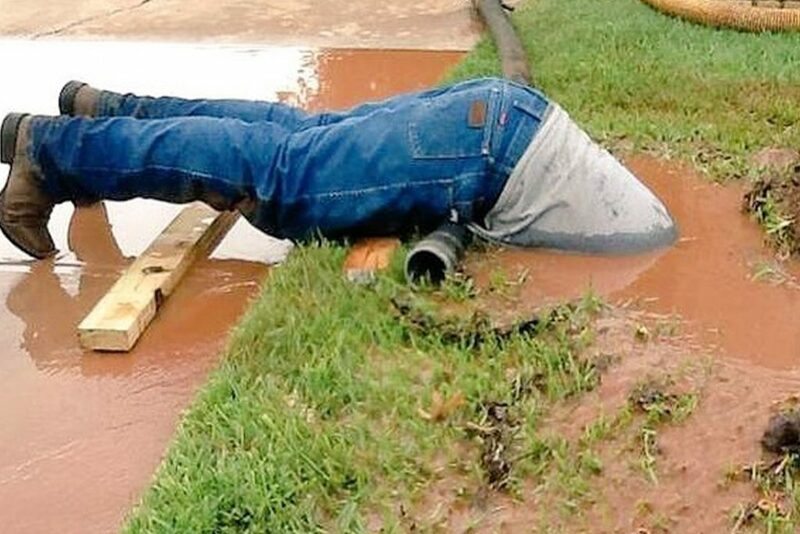 It’s common for water sector folks to lament that the public doesn’t understand water issues. After several years of responding to SOTWI and reading the results, I wondered: How does the public perceive water issues? How closely do attitudes within the industry align with those of the general public? Organizations like Texas A&M’s Institute for Science, Technology & Public Policy (ISTPP) offer a way to answer those questions scientifically. In the summer of 2015 I worked with ISTPP colleagues to deploy a nationally representative mass public survey of attitudes toward energy, agriculture, and environmental issues in the United States. The ISTPP survey yielded nearly 2,000 respondents. As part of the ISTPP survey, we included several items about water policy taken directly from the SOTWI survey. Identical wording and question structure provides an extraordinary opportunity to compare attitudes within the water sector (the “pros”) against attitudes in the general public (the “Joes”). The SOTWI questionnaire included 34 items; from among these we selected 11 items that directly ask the respondents’ perceptions of water issues such as water resources, capital, and affordability for low-income households. All 11 attitudinal questions are based on a five-point scale: unimportant (1), slightly important (2), important (3), very important (4), and critical (5). Some interesting patterns emerged. Average values ranged between 3.2 and 4.6 among the Pros, with infrastructure replacement emerging as a clear #1 priority. The general public averaged 3.10-4.11, with long-term supply availability as the top value. Ordinal rankings—that is, which issues were more or less important relative to each other—were fairly consistent between Pros and Joes. The most striking disparities are at the top and bottom of the graph. 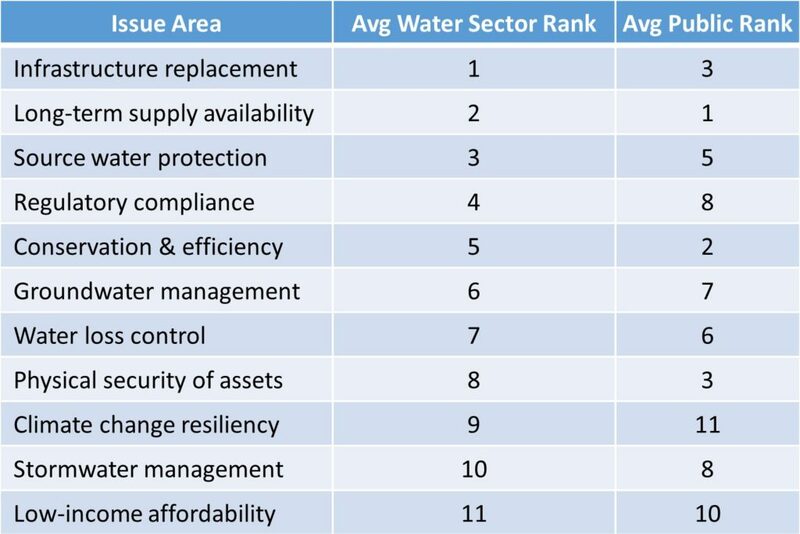 Water sector respondents perceive infrastructure replacement, regulatory compliance, and source water protection as much more important than does the public. Meanwhile, the public evidently views low-income affordability as significantly more important than does the water sector. Together, these results offer clues about the areas of relative harmony and dissonance between the American water sector and the American public. Water organizations and utility communications staff should perhaps concentrate on developing effective ways to convey the significance of infrastructure replacement, regulatory compliance, and source water protection. 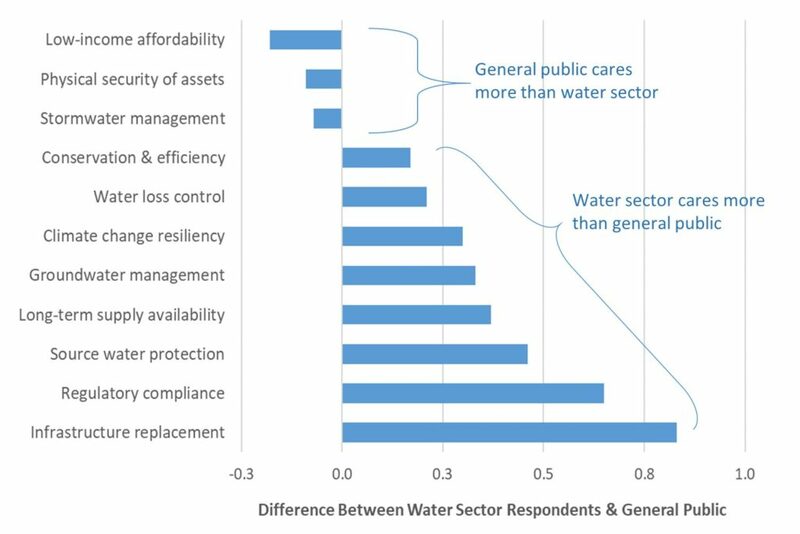 By the same token, these findings suggest that low-income affordability matters much more to the public Joes than to water sector Pros. It stands to reason that taking affordability seriously can help utility leaders legitimize their own priorities to the public.